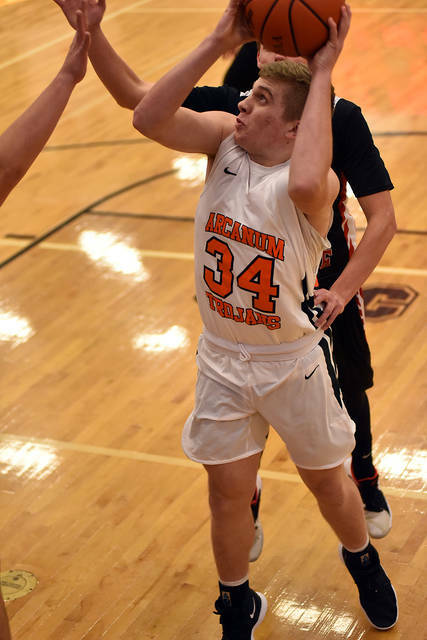 Arcanum senior Evan Atchley could not be stopped as he scored a game-high 17 points including five 3-pointers in a 59-39 win over Preble Shawnee on Saturday. 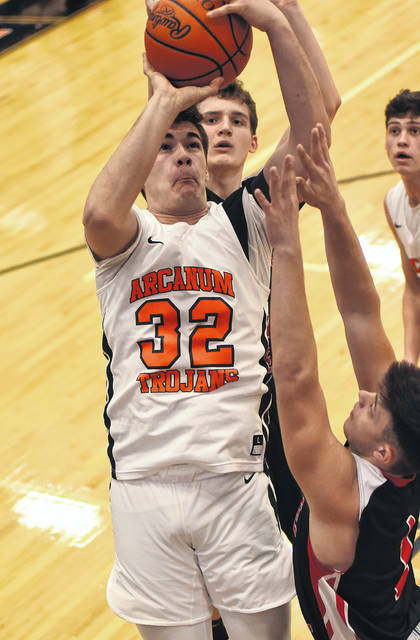 Arcanum junior Carter Gray poured in 14 points with a pair of triples to help lead the Trojans to a 59-39 win over Preble Shawnee on Saturday. 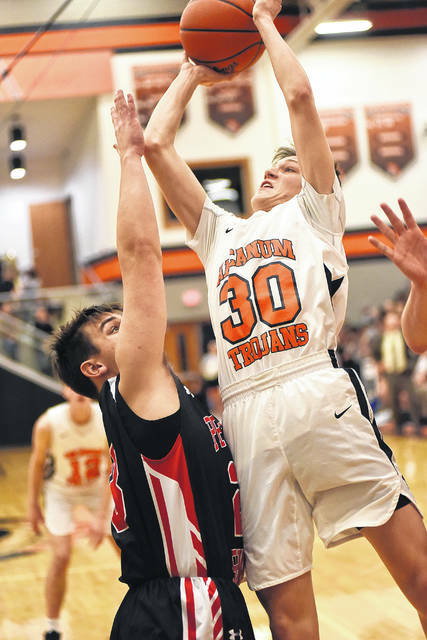 Arcanum’s Isaiah Hootman goes in for a layup and scored 4 points for the game in helping the Trojans beat Preble Shawnee 59-39 on Saturday. 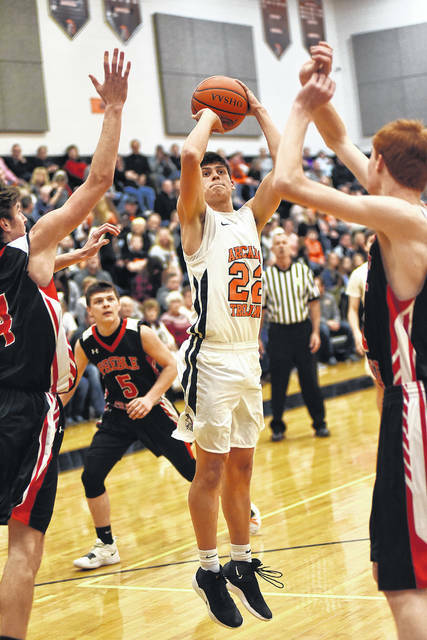 Arcanum’s Jake Goubeaux goes up strong to the basket during a non-league game with Preble Shawnee on Saturday. The Trojans won the game, 59-39. 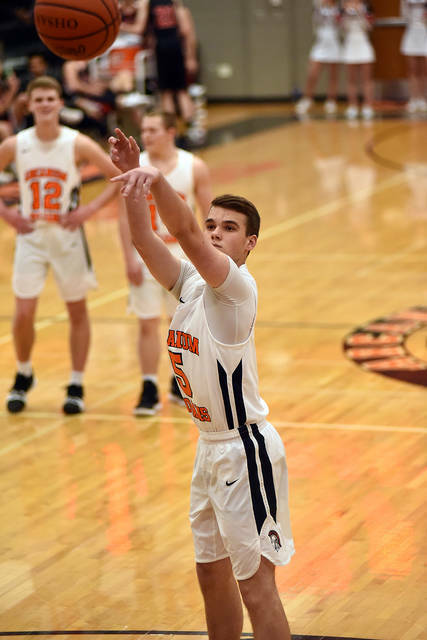 Arcanum’s Zach Smith puts up a shot from underneath the basket during a non-league game with Preble Shawnee on Saturday. The Trojans won the game, 59-39. 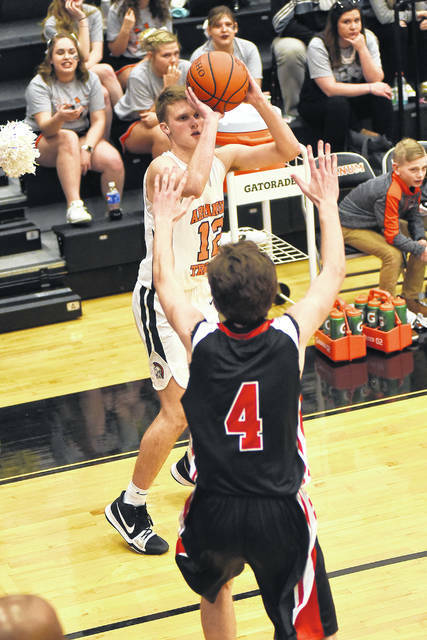 Arcanum’s Evan Atchley takes mid-range jump shot during a non-league game with Preble Shawnee on Saturday. The Trojans won the game, 59-39. 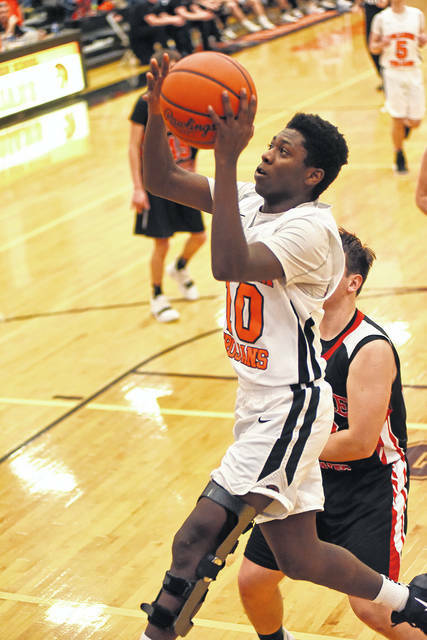 ARCANUM – The Arcanum boys basketball team got off to a good start taking a 14-4 lead against Preble Shawnee in the opening quarter on Saturday night. 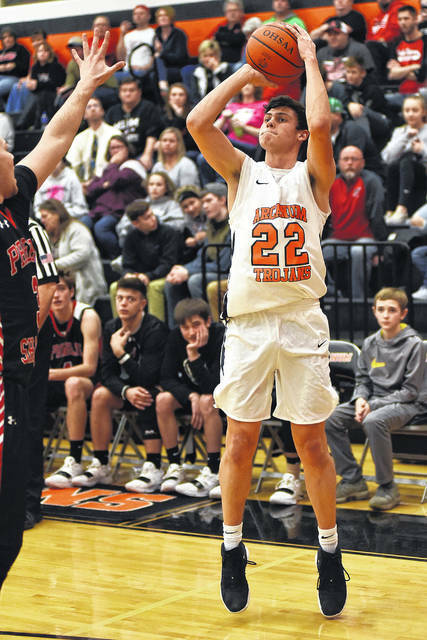 The defense was solid and shots were falling as the Trojans cruised to a 59-39 win over the Preble County team. Evan Atchley and Carter Gray scored 5 points in the opening frame with Jake Goubeaux and Zach Smith adding a bucket each for the 14-4 lead. In the second frame Gray hit a triple and Atchley added two more trey’s as the home team was feeling it on Hall of Fame night. Then big man Zach Smith went to work inside the paint for three strong finishes as the Trojans went up 31-17 at the half. Preble Shawnee was never able to generate any big offensive explosion, much of that was a credit to the defense by Arcanum. “I think our defense set the tone tonight which led to our offense. It’s great the ball was going in the hoop, but the guys executed our defensive game plan to the ‘T’ and that’s a pretty good ball club over there. 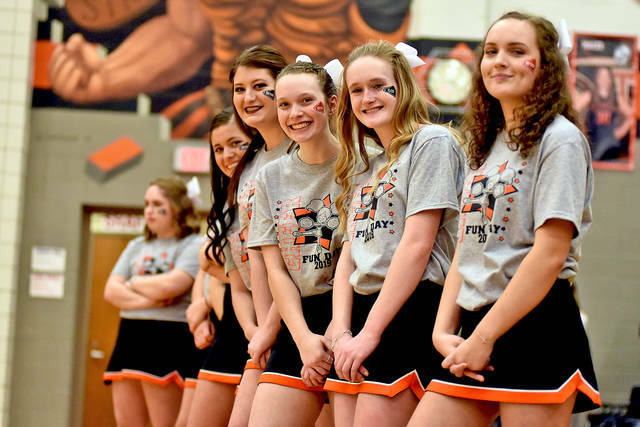 They beat Monroe, a Division II team, the other night and that was a nice win for them, so I think that team is lot better than their record and we’re pretty happy with how we played tonight,” Arcanum coach Jim Melton stated. 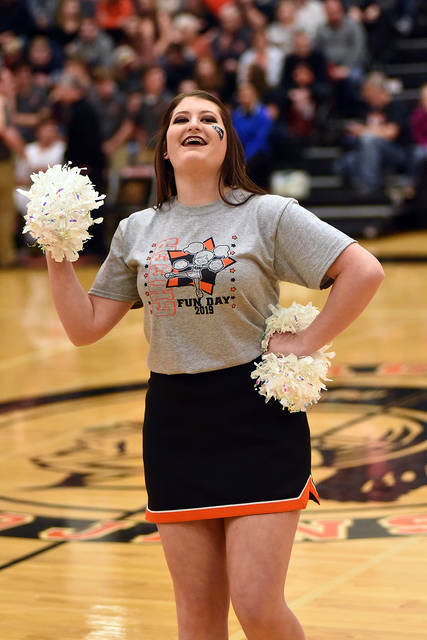 Atchley dropped in two more treys in the third quarter with Arcanum leading 45-25. He would end up being the high man for the game with 17 points on the night. The play by Evan Atchley was welcomed by the first year coach. 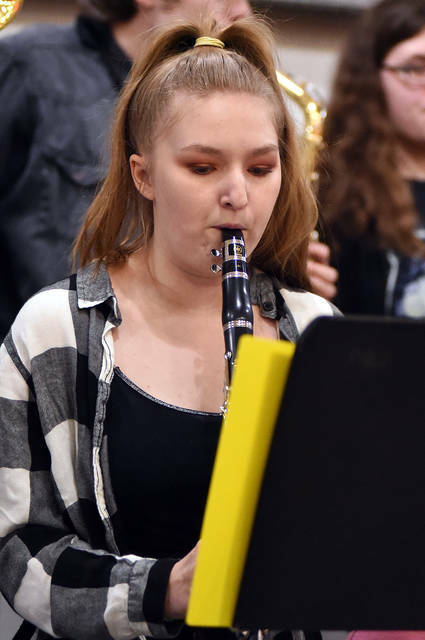 “Evan is progressively gaining confidence, we thought he would do that out the gate, but it took him a little while to get acclimated to my style. Evan has picked up his level of play without a doubt,” Melton praised. 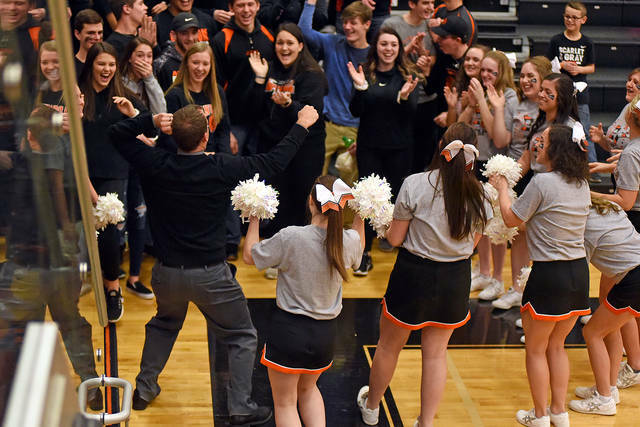 In the final stanza Arcanum had the luxury of getting a lot of guys into the game with Isaiah Hootman scoring 4 points, Cameron Burke 2 and Chad Pitzer 1, much to the delight of the Arcanum fans. 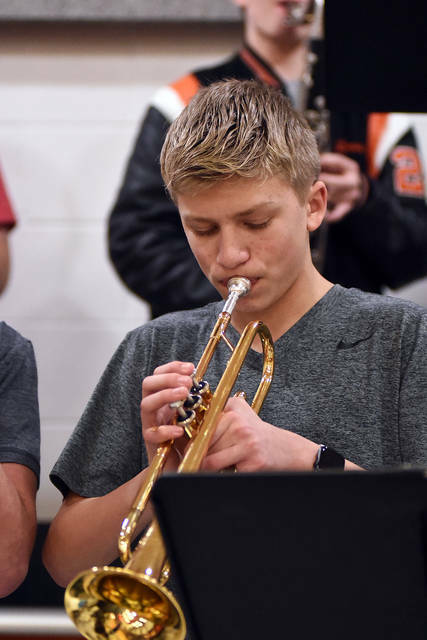 Arcanum would go on to win the non-conference contest by the score of 59-39. 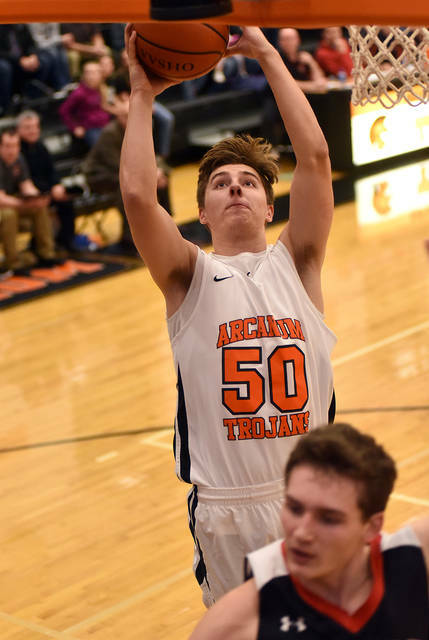 Atchley had 17 points, Carter Gray 14 and Zach Smith 10 for the Trojans. They will travel to Milton-Union for a Tuesday night game. Preble Shawnee – Agee 12, Hatmaker 2, Geisen 2, Powers 3, Woodard 10, Morton 2, Singleton 8. Totals: 3-12-6/10 – 39. 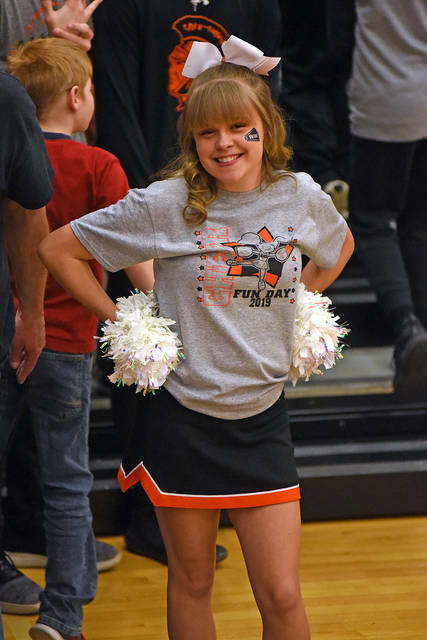 Arcanum – Hootman 4, Gray 14, Meeks 3, Atchley 17, Goubeaux 6, Smith 10, Byrne 2, Burke 2, Pitzer 1. Totals: 7-15-8/18 – 59. 3-pointers – Preble Shawnee 3 (Woodard 2, Powers 1), Arcanum 7 (Atchley 5, Carter 2). 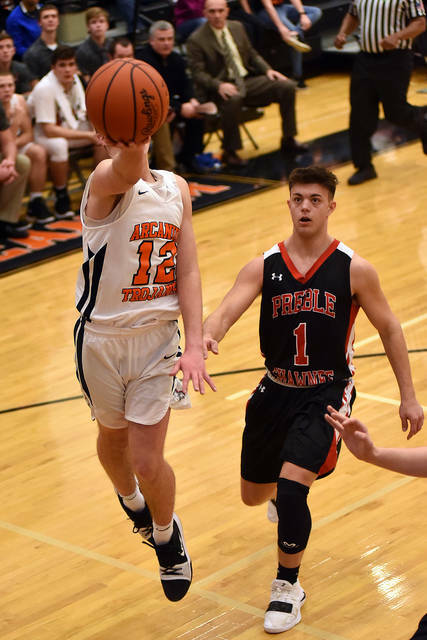 Records: Preble Shawneee (9-10), Arcanum (12-7).